It’s been almost three weeks since our last posting… No, we haven’t sunk! We just took a break from cruising –not that we needed one- to go back up to the States, run some errands, renew some Visas, buy some stuff. Mainly, to remember why we left in the first place! 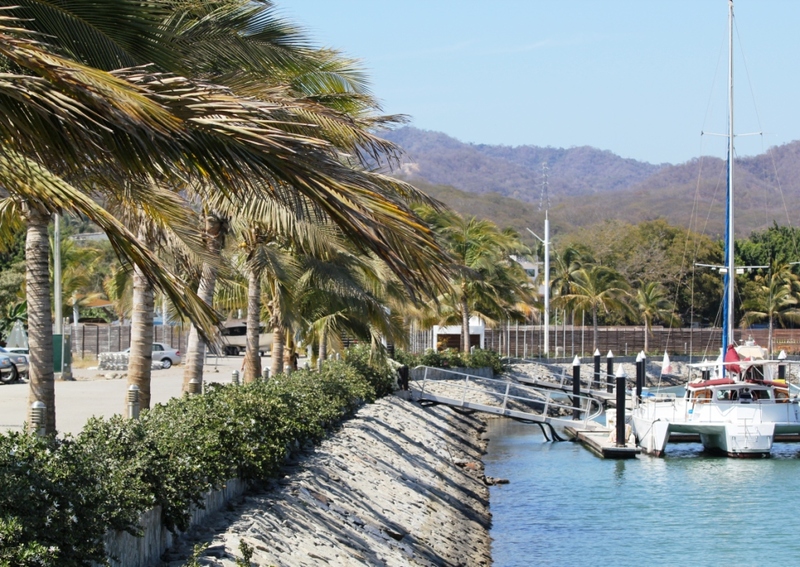 After leaving Paraiso on March 7th we headed back north to La Cruz in Banderas Bay, near Puerto Vallarta. We took our time, stopping at Chamela and Punta Ipala. Chamela was only a short 8 miles hop, barely over an hour. We just stopped to spend the night and left at first light the next day. Our next stop, Punta Ipala, was six and a half hours away. The trek back up was a little harder than we’ve become accustomed to… We finally had wind, lots of it! Shame it was right on our nose, good only to make the ride bumpy and slower… Oh, yeah, we also had a taste of fog. I said FOG! In Mexico? We were blind for a good half hour, sounding the fog horn like we were back sailing on the San Francisco Bay. We did NOT like the déjà-vu; we wanted “our” Mexican weather back. I admit, we’ve definitely become spoiled rotten and have no patience for heavier weather. I strongly resent having to wear long pants and sleeves. The anchorage at Punta Ipala was small, cozy and quite beautiful in its simplicity, basically a tiny fishing village. It sure was a welcome refuge, protected from the winds and choppy seas. We were the sixth boat to share the space. Three hours from our arrival, the seventh and last boat –named Little Christian- was pulling in the anchorage in total darkness. We knew they left Chamela a little earlier than us and they were tired after a long and bumpy trip, so the whole group anchored in Punta Ipala got on the radio to offer assistance in guiding them in. As soon as we spotted their navigation lights, Tom turned on the strobe light. As they got closer, every boat in the anchorage turned on their deck lights, illuminating the tiny bay as much as possible. In less than five minutes Little Christian was safely tucked in, and gratefully thanked the group for the assistance. Another fine example of boaters’ camaraderie! Early next morning, one by one, we all peeled off Punta Ipala heading for La Cruz. This leg was 52 miles, including the rounding of the infamous Cabo Corrientes where strong undercurrents can throw your boat around in all directions. Thankfully, it was pretty easy for us all. We enjoyed watching hundred of dolphins in a feeding frenzy; the funniest part, they left their lunch to swim a quarter mile to our boat, just to dance in our bow wake and leave after maybe 5 minutes. Whales breaching, turtles floating and 7-feet-wide Rays swimming gracefully beside us were all part of the warm welcome. We got to see the Port Captain again! 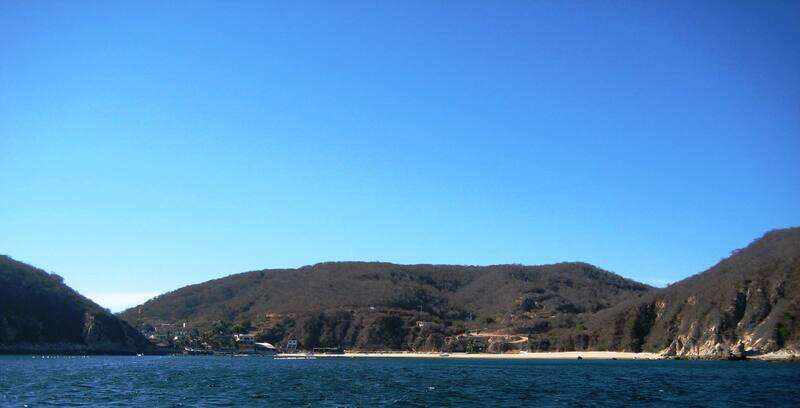 It’s good to be back in La Cruz, our favorite place in Mexico. We barely have time to relax and greet our local friends when we hear about the tragedy that struck Japan. Speculations about the Tsunami that will hit the Mexican Coast abound. A few boats –including us- decide to leave the Marina for the deeper waters of the Bay, since being in deep water dampens the effect of the surge. 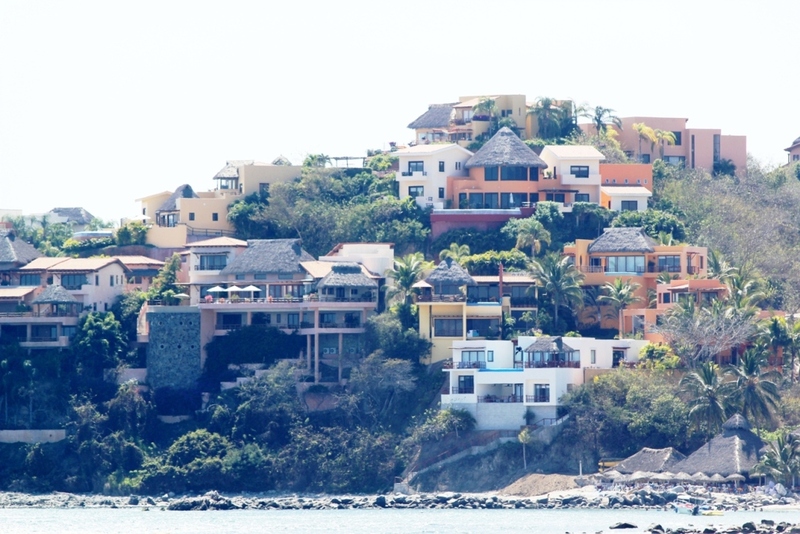 We end up motoring about 9 miles toward Punta de Mita, reaching waters over 300 feet deep. We bop around lazily for hours, deciding to slowly sail back late afternoon. Sails up, a gentle breeze pushes us back towards our Marina. It’s a gorgeous, sunny, perfect day for a long sail, but the joy I usually feel in such situation eludes me today. Thoughts of the devastation in Japan sobers the mood. 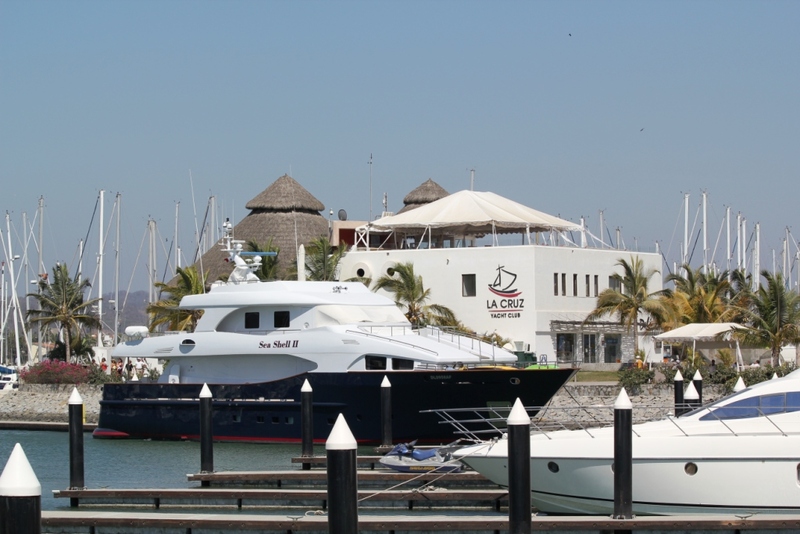 There’s much radio chatter, the Mexican Navy has vessels stationed at every Marina’s entrance. 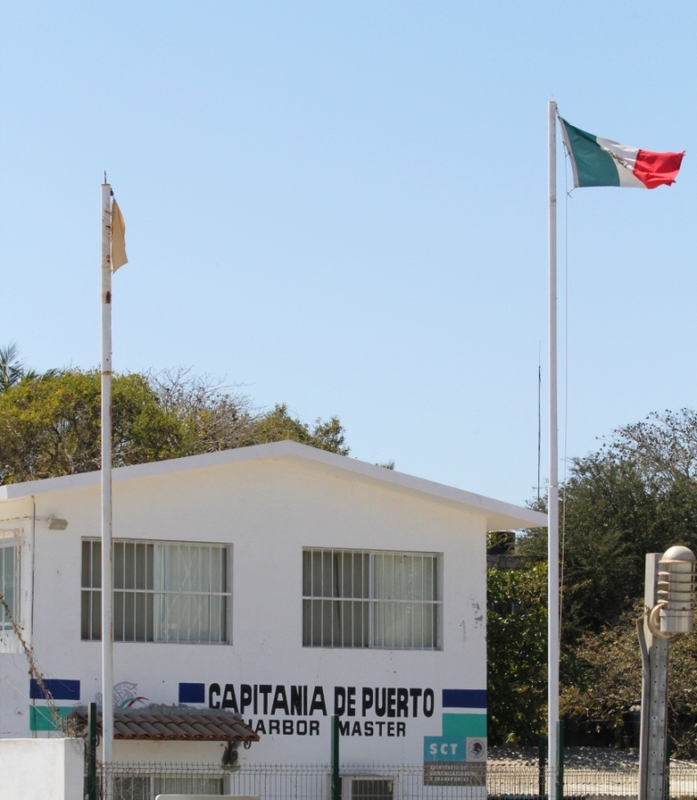 The Port Captain has closed all the Ports as a measure of precaution. Nobody can enter or leave any port until the Captain says it’s safe. Hours go by, the sun goes down. We join a huge contingent of other boats and anchor in nearby Banderas Bay, spending a very quiet night. We haven’t felt any Tsunami effect and are grateful for that. The next morning the Ports are open, we return to our Marina and see that a whole dock was ripped away. I guess it was a good idea to leave for the day, after all… The surges continue for another day or two; although much subdued, the water movements under our keel are noticeable. Mar 15th –Back to the States! We’re back where we feel we belong. On the boat, that is! I missed Camelot so very much. Neither one of us slept that well in a bed that wouldn’t rock… In any case, we’re happy to be back. In the next few days we’ll be reunited with a bunch of other boating buddies, our extended family. Some of them are leaving for the South Pacific next week. Other, like us, will be heading to the Sea Of Cortez for the summer. We decided to stay in La Cruz until about April 8th. I’ll take advantage of this time to start –and hopefully complete!- some sewing projects, mainly protective covers to withstand the brutal Mexican summer sun. Here’s the list: dinghy chaps, covers for the jerry jugs (6), cover for the liferaft, shade panels for the cockpit, mosquito screens for every hatch we plan on opening (6). It’s March 26th: I have less than 2 weeks’ time and I haven’t started yet… Heh, Manana! So don’t be surprised if I’ll be quiet for a while! La Cruz Yacht Club - Behind the Monster Boat! « Mon Mar 7th – Adios, Paraiso! You’ll be forever in our hearts. I can’t believe you were here and we didn’t get to see you guys. We miss you!